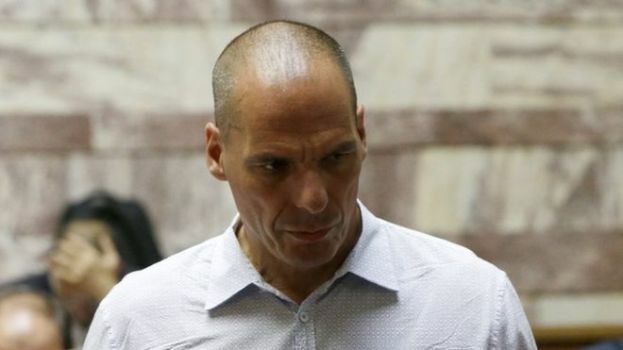 Former Greek Finance Minister Yanis Varoufakis has told the BBC that economic reforms imposed on his country by creditors are “going to fail”, ahead of talks on a huge bailout. Mr Varoufakis said Greece was subject to a programme that will “go down in history as the greatest disaster of macroeconomic management ever”. The German parliament approved the opening of negotiations on Friday. The bailout could total €86bn (£60bn) in exchange for austerity measures. Mr Varoufakis resigned earlier this month, in what was widely seen as a conciliatory gesture towards the eurozone finance ministers with whom he had clashed frequently. He said Greek Prime Minister Alexis Tsipras, who has admitted that he does not believe in the bailout, had little option but to sign.